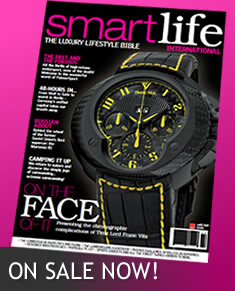 Bringing you tomorrow's technology today, Smartlife International is the lifestyle bible for a new generation of consumers who demand the finest things in every walk of life. Introducing readers to the finest intelligent houses and luxury apartments in the world, Smartlife brings readers the tech, the style and the furnishings to improve your living space, along with the latest in food, fashion, motoring, travel and more. Whether you're looking to buy your first smarthouse, upgrade your existing home or simply treat yourself to one of life's little luxuries, you owe it to yourself to join the Smartlife revolution today.